As I have been enjoying browsing through all of my seed catalogs I am really getting the garden itch! Mind you, it is mid January and we have been seeing those “it feels like -9°” temperatures this month. Think frozen water troughs and bundling up to go out hand milk my cow. I’m not complaining at all, I’m simply dreaming of spring. More specifically, I am dreaming of square foot gardening. Back in 2014, we began to implement the square foot gardening method. It worked out quite well and we really enjoy it. It is a great way for anyone to be able to grow quite a bit of food in a small space. We are fortunate to have a fairly large garden area but we have a lot of mouths to feed and also try to preserve enough for the year. We bought the book, “All New Square Foot Gardening, Second Edition: The Revolutionary Way to Grow More In Less Space” by Mel Bartholomew. He is the pioneer of this method and I have learned so much from his book. It is also full of illustrations and fantastic growing charts. This book has been a great tool for us. The way we started our square foot garden was by building our raised garden beds. We used lumber that Derek sawed with his Alaskan chainsaw mill from trees on our property. The beds are 3′ x 5′. We like this size because we can easily reach everything that is growing. 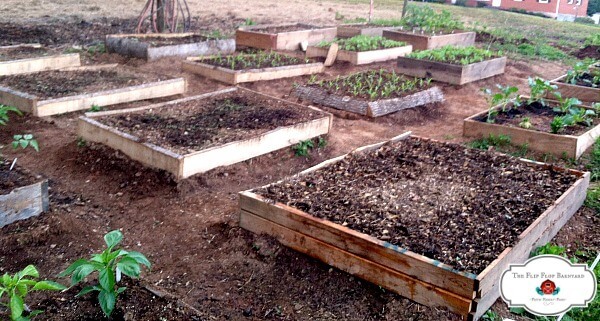 Raised beds can be constructed out of materials other than home cut wood. Cedar wood is a good option because it will last longer. You can also use metal so that your beds will last for a very long time. Once we had the beds built, we mixed our soil mixture and filled them. There is a recipe for the mix in the Square Foot Gardening book. We followed that as well as adding our own composted livestock manure, peat moss, and vermiculite to the beds. This made for an extremely rich soil. We also constructed our planting guide grid with 1″ x 2″ lumber. It has 15- 12″ square openings. We place it on top of the raised beds so that we can be sure to plant our seeds in the correct spots for our square foo gardening spacing. We only made one grid and moved it from bed to bed as we planted. Some people prefer to build a permanent grid on each bed. You can see the imprint of the planting guide grid in the bed below. I really like the square foot gardening method. Here are some of my favorite aspects. 1- Spacing. The required space per plant enables you to grow much more than following a traditional spacing method. I was unsure at first about it and worried that things would be crowded but it turned out great. There are guides in the book as well as online that show the spacing requirements of plants. It varies depending on what you are growing. I love being able to grow 5 bushing squash plants in one 15 sqft bed. That’s a huge space saver and a ton of harvest in such a small amount of garden space used. Green beans are one of our staples and we love to grow as much as we can to preserve for the winter. You can plant 9 bush green beans per sqft. That’s a total of 135 plants per 5′ x 3′ bed. Talk about a great yield! 2- Less weeds. Can I get an Amen? Less weeds equals less work. That is a win in my book! Because the beds are worked individually and have such rich soil, there are less weeds growing. The weeds that do grow are few and easily spotted for removal. They also pull very easily because the soil is so nice and loose. This cuts down on so much back breaking labor! 3- Easier to water. With each bed and each plant being so defined it is much easier to water properly. No wasted water, no under-watering, no over-watering. Just right every time. You can water each individual plant or set of plants with the exact amount of water they need. This helps keep them healthier, prevents blossom end rot (in some cases), reduces diseased plants, and prevents burned leaves from the sun over heating the water on them. 4- Defined spaces and paths. With having little children running around in the garden it is quite a challenge to keep them from running through rows and stepping on plants. With the raised beds and paths between them, the Farm Kids have an obvious path and we have many less vegetable casualties now. 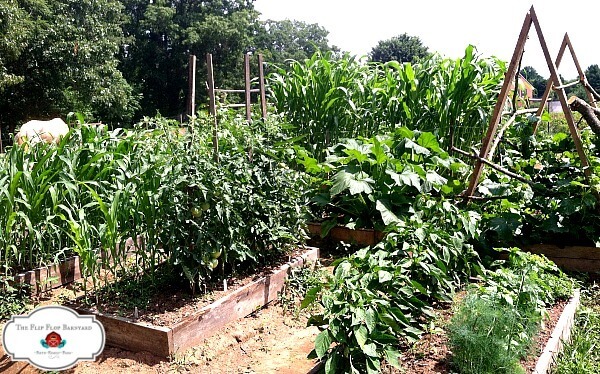 Having a raised bed square foot garden helps keep things more organized as well. I’m not known for being super organized or keeping track of things like I should. Having my square foot garden beds makes it easy to draw a diagram of my garden. I can note in each square foot on my diagram exactly what was planted there so that I can track how well they do. This is also great for crop rotation. When I know exactly what has beed grown where, I can plant the next crop properly. 5- Managing each bed. We can easily manage each bed as needed. We can add compost, mulch, till it, whatever that particular bed needs can easily be addressed. If the plants on a certain bed need lots of fertilizing with extra rich compost or compost tea, I can just add right to it and go along my way. Some plants lie to have a lot of water and others don’t. With square foot gardening, you don’t have to worry about giving one plant too much and another not enough. Let’s face it, we can all you a little individual attention sometimes and so do garden beds and plants. It helps to cultivate them for the healthiest plants and best harvests. Companion planting is much easier when you can plan out your garden in a grid format too. Choosing a spot for one type of plant leaves plenty of room for coordinating what you need to plant next. You can also easily add some herbs or flowers to attract pollinators or deter other pests. This works wonders for keeping your plants healthy and pest free. 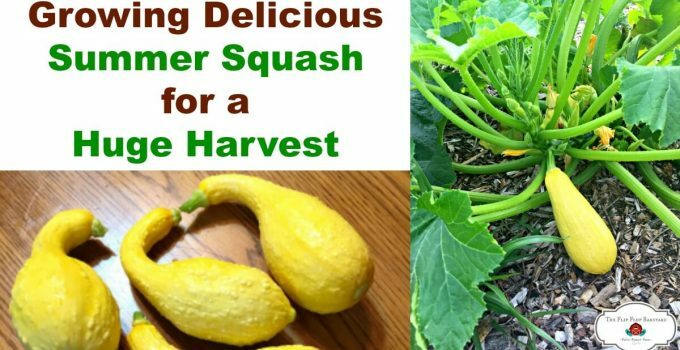 Harvesting is so much easier in a raised bed square foot garden for several reasons. 1- The beds being higher off the ground means less bending for harvest. This saves your back and knees from a lot of pain. 2- The beds are a nice size for being able to reach each vegetable or fruit on each plant. 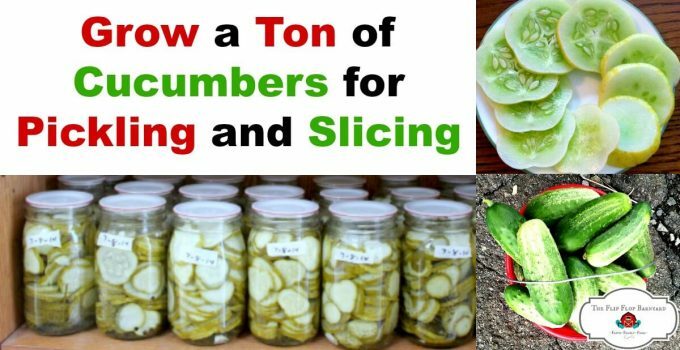 3- You can easily harvest without smashing anything around you. It’s easy to get busy focusing on what your are doing. Sometimes, we accidentally smash a plant beside or behind us. 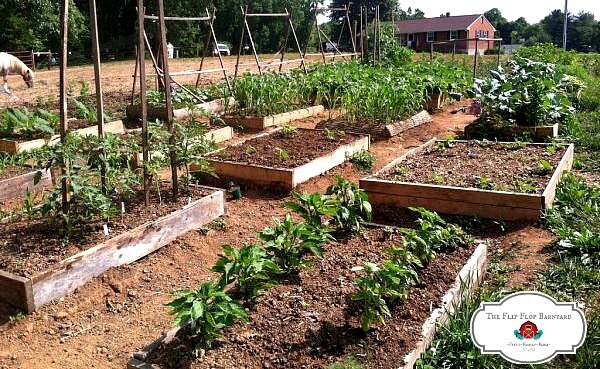 With raised beds, you don’t have to worry about that because there’s plenty of space to reach it all. Beauty! This one may not be that important and truthfully, all gardens hole there own beauty but there’s just something about a square foot garden that screams “Beautiful!” to me. Each bed fully of it’s own plants that are working hard to provide my family with nourishing foods. Taking a stroll through the garden between each bed and being able to spend time focusing on each bed and all it’s glory makes my heart happy. 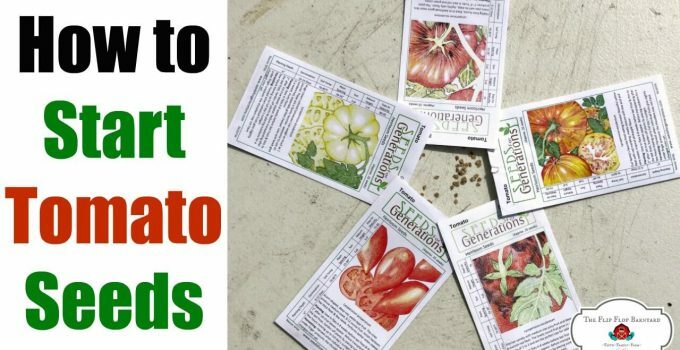 We will be ordering our seeds soon and starting some plants indoors before too much longer. I am getting really excited about this year’s square foot gardening. I can’t wait to get my hands in the dirt. Once it warms up that is. 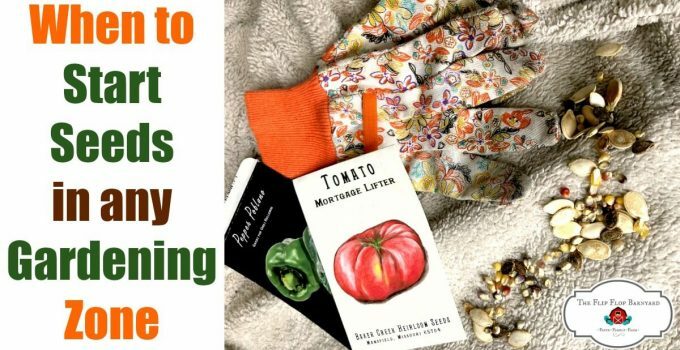 If you want to start gardening but feel overwhelmed or don’t think you have the space to do it, I encourage you to explore the square foot gardening method. It really is a wonderful way to supply your own food. Are you dreaming of spring and bountiful gardens too? I love Square Foot gardening and looking forward to doing it this year. Thanks for all the inspiration! Hi, Jenna! Yet another amazing post! I really enjoyed reading it. This method of gardening is very smart and so much easier than some more classical ones. Not to mention how beautiful it looks when everything is green. I was wondering, how much time do you need to prepare one square and bedding for gardening? I was wondering about the animals eating everything? We have a fence around the garden to keep the larger animals out. We also run chicken wire around the bottom to keep smaller animals and chickens out. ? However another stunning post! I truly appreciated understanding it. This technique for cultivating is exceptionally shrewd thus significantly less demanding than some more established ones. Also how wonderful it looks when everything is green. I was pondering, what amount of time do you have to set one up square and bedding for cultivating? Thanks! You can build a bed in an hour or 2. Thank you for the lovely post. We know Mel would be super proud of your beautiful Square Foot Garden. Please visit our Official Square Foot Gardening Foundation Facebook page. We would love for you to tell your fellow Square Foot Gardening bloggers and enthusiasts, that we are hosting World Square Foot Gardening Day on July 1st . There will be giveaways and everyone can join the fun! Another amazing article, Jenna! I recently found your site and I`m very happy about that! I love gardening and I`m always in search of great ideas to try! So, thanks!